May 30, 2010 Tab H. and the STS Fishing Team Visit Lake Calcasieu and See Pinky the Dolphin!!! 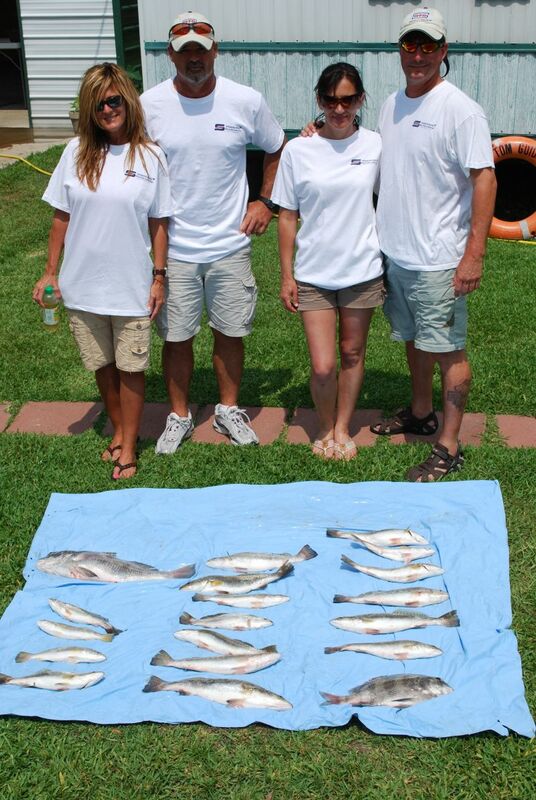 May 30, 2010 Tab H. and the STS Fishing Team Visit Lake Calcasieu!!! Tab, Elaina , Charles & Beth not only enjoyed fishing on Big Lake but were the first guests of the year to see The Pink Dolphin! Storms and wind made today a bit of a challange but The S. T. S. Fish Team was up to the challange and caught a nice mess of fish. It was a Guys VS Girls kind of day. But once the Ladies got the knack of popping the cork and setting the hook the guys had to scramble to keep up. 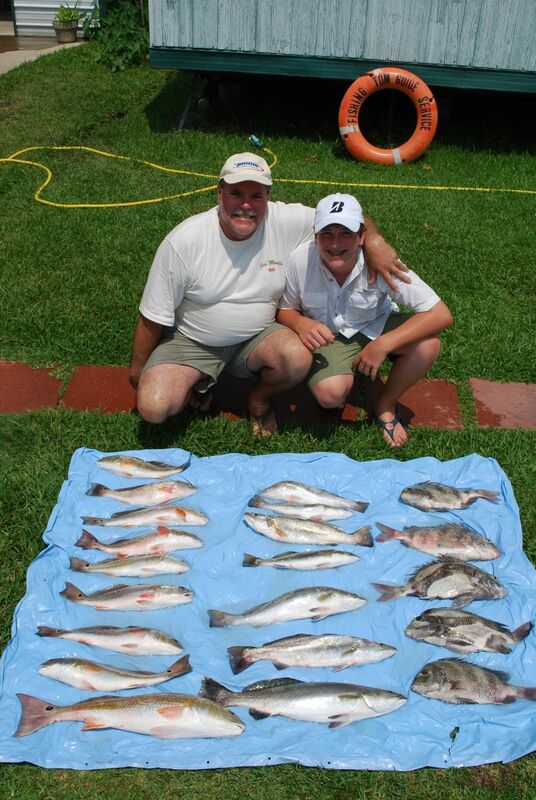 May 29, 2010 Mark P., Jessica and son Sterling Have a Blast on Lake Calcasieu with Captain Tom!!!! May 29, 2010 Mark P., Jessica and son Sterling Have a Blast on Lake Calcasieu with Captain Tom!!!! The very first cast of the day caught a nice 2# trout and it was almost every cast for a couple of hours. Mark had 3 Big Lake beatuies over 3 pounds on Gulp. Sterling had the big red of the day at 28 inches. May 28, 2010 Bill D. and Friends Kieth and Eddie Gulp the Big Girls on Big Lake!!!! May 28, 2010 Bill D. and Friends Kieth and Eddie Gulp the Big Girls on Big Lake!!!! 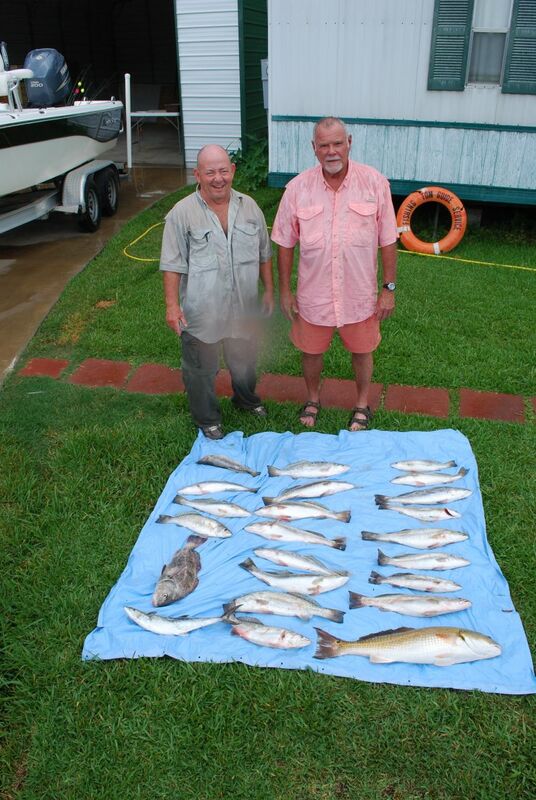 These Guys used Gulp Swimming Mullet on a 1/4 oz jig to fill the cooler with nice 2 to 3 lb Trout and Reds. 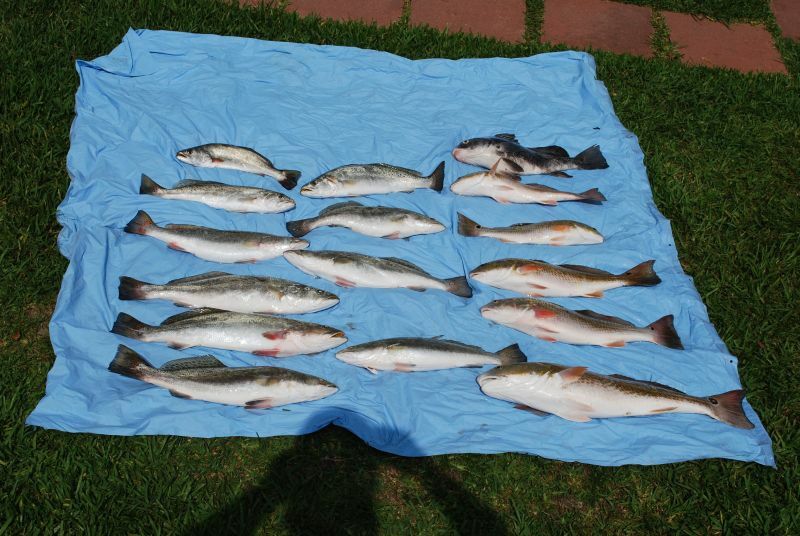 Even Captain Tom Managed a 25″ and a 23″ Trout!!!! May 25, 2010 Keith G., & Friends Catch 2 to 3 # Lake Calcasieu Trout!!!!! 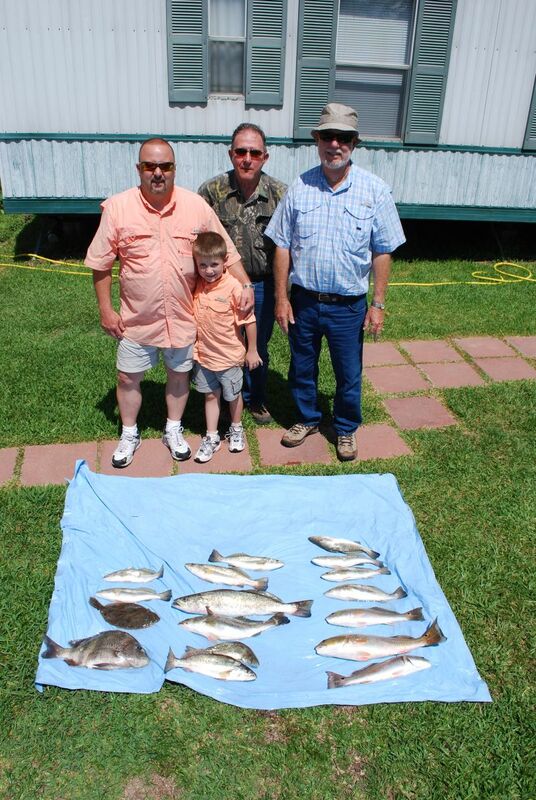 May 23, 2010 Ed G., Son Mike, & Grandson Hunter have Fishing Fun on Lake Calcasieu!!! 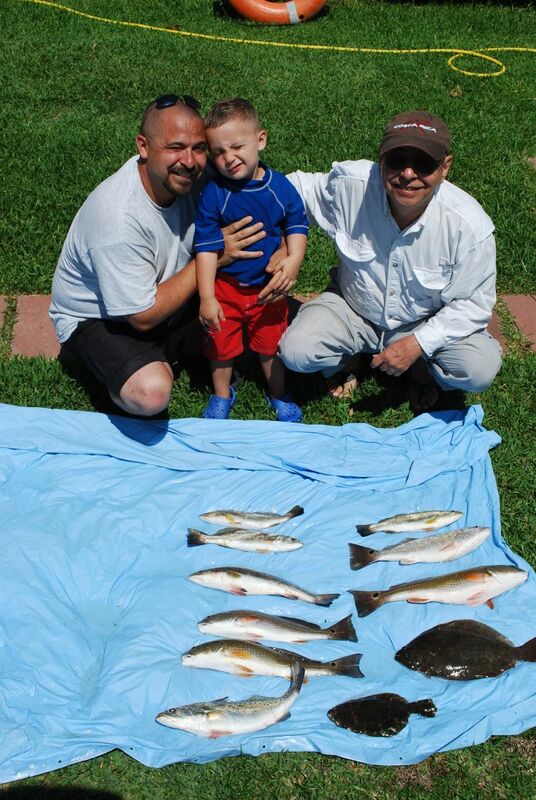 May 23, 2010 Ed G., Son Mike, & Grandson Hunter have Fishing Fun on Lake Calcasieu!!! Hunter was a joy to have aboard and by the end of the day he was catching some nice Big Lake Trout all by himself! It just doesn,t get any better!! The Picture Says it ALL!!!!! May 22, 2010 A Great Family Trip With Doug H. ,Family & Grandson Thomas!! May 22, 2010 A Great Family Trip With Doug H. ,Family & Grandson Thomas! 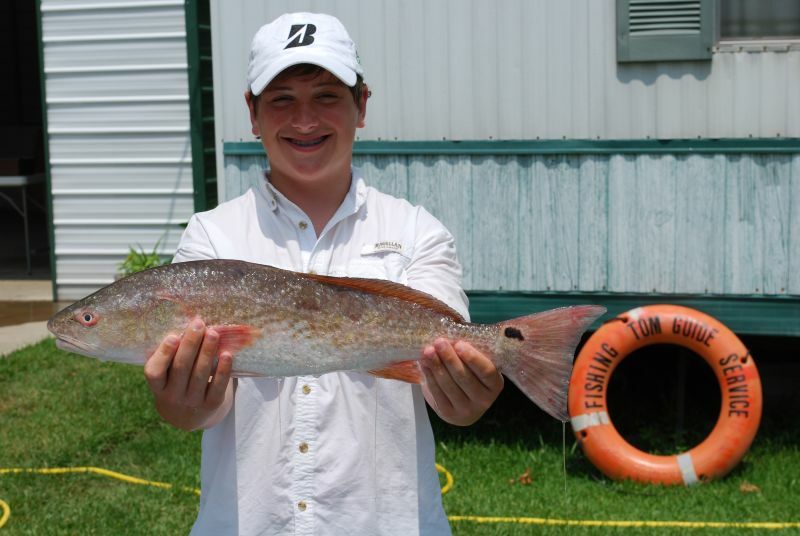 There’s nothing better than taking our future fisherman (and women) Fishing on Lake Calcasieu. Thomas did a great job of Catching some nice Big Lake Beauties!!! !